Trust is more valuable than gold in a world where traitors conspire, and even shadows demand payment. Lady Evelyn Montgomery, only daughter of the Baron of Rayne, detests the thought of marriage and vows to never allow a man to control her. To escape the constraints of propriety, she steals away from the safety of the keep and stumbles across a plot designed to ignite tension between England and Scotland. When a mysterious hooded man steps in to save her, she must decide if he is friend or foe, and if he truly means to aid her despite his charm and the burgeoning attraction between them. Hiding beneath his black cowl and blending into the night, Gabriel, a Shadow Guardian, is bound by honor and duty to protect the Baron’s daughter at any cost. But Lady Evelyn is far from the delicate flower he anticipated. When he confronts her with his admiration, she remains steadfast in her determination that no man will possess her. He must convince her love can be more than possession before the traitor tears them apart and he loses her forever. 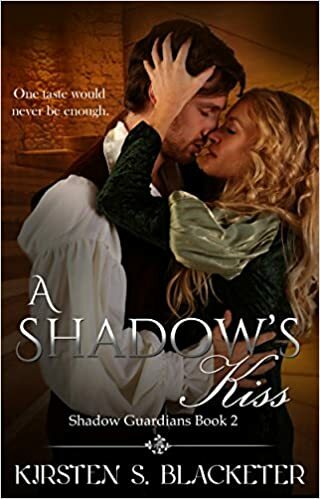 Torn between duty and desire, a knight and his lady must decide if their love is worth the price of treason. Whisked away from her uncle’s barony to be reunited with her family in the Scottish Highlands, Madeline Campbell abandons her life in England and the knight who stole her heart. The reunion quickly sours when she realizes her father intends to present her as a bride to the winner of the Highland Tournament. With no one to turn to for comfort or guidance, Madeline resigns herself: do her duty to her clan and marry the winner. An English knight has no place on Scottish soil, but Alexander must complete the mission tasked by the Baron of Rayne. Find Madeline and ensure her safety. No one can deny the desire binding them together, but when it sparks jealousy in the other clansmen, they have no alternative but to run. As secrets emerge from the shadows of the past, Alexander and Madeline are forced to choose between their duty and their heart’s desire. As a widow, Jessamine Watson gained the freedom she’d always desired. Her late husband left her his sole possession, an inn on the north road to Scotland. 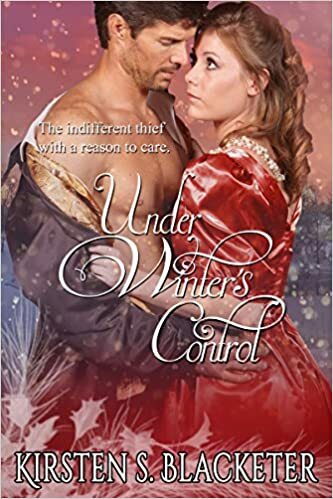 When a trio of gentlemen appear at the doorstep of her isolated inn during a snowstorm, Jess can’t help the curiosity coursing through her veins. Eavesdropping on their conversation only entangles her in their web of deception. To the petite innkeeper, Edmund is a wealthy thief. Allowing her to think what she will, he decides to use her to his advantage. That is until she hides the stolen jewels and refuses to reveal their location. Never cowed by a challenge, Edmund issues an ultimatum: return the jewels or repay the debt with her body. A spirited country girl at the mercy of a silent thief harboring a dangerous secret. Working at the inn, Miss Judith Tindall fears a constant state of boredom. One snowy night, three strange gentlemen appear and topple her quiet haven into chaos. The leader kidnaps her sister, leaving her under the stern eye of his silent compatriot. Her sister had warned her one day she’d cross the line. With him, that doesn’t take more than a frying pan to the head. Simon detests disorder. Edmund charged him with one mission: find the jewels. But he never counted on a feisty, curvaceous hellcat standing in his way. She demands to be reunited with her sister in London, and Simon is more than willing to leave her on his friend’s doorstep. When she’s kidnapped at King’s Cross Station, he must summon all his unsavory resources to find the woman who unwittingly stole his heart. A defiant lady at the mercy of an indifferent thief hiding a compromising secret. During one of the most anticipated events of the season, Lady Katherine Reddington vanished without a trace. Several months later, the jewels she wore that fateful night appears in the possession of the Earl of Norwich. Monty has one objective: locate Lady Katherine and restore her to the care of her brother, Edmund. After months of searching every corner of England, the sudden appearance of the jewels gives him a new lead. One that requires Monty venture north into Scotland and into the very conflict he has been desperately trying to avoid. A gentleman’s gentleman is expected to keep the secrets of his master. Loyal butler, James Bates, harbors a scandalous secret of his own. One which remains buried deep beneath his professional demeanor. He desires only to serve in obscurity without inviting further scandal into his life. When the sweet, young Anna enters the household as the new ladies’ maid, he discovers a passion he had long banished hope of ever possessing. Bates treats Anna with kindness, and although his regard for the young woman is far from virtuous, he maintains propriety. When Anna returns his affections, it seems his happiness will be complete. That is until accounts of the horrid actions of his youth rise from the past to steal away everything he loves—including his beloved Anna. 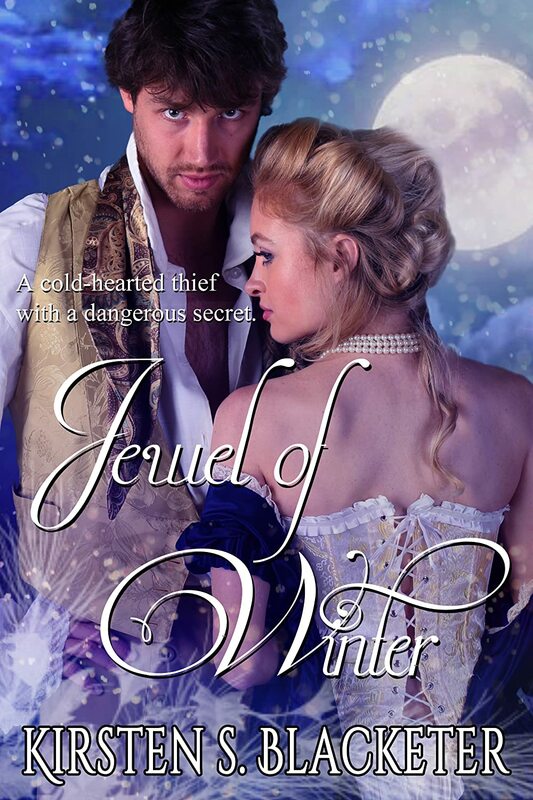 Contains three novellas: Jewel of Winter, At Winter’s Demand, and Under Winter’s Control. or tight wrangler clad cowboys. Frustrated over losing her job, Katie accepts her best friend’s invitation to spend a few weeks at their dude ranch in Wyoming. She never expected the stampede of desire when she caught a glimpse of her first authentic cowboy. Her mind immediately wondered what the handsome cowboy hid beneath his dusty wranglers. Katie never expected to find a man, let alone one whose kisses turned her limbs into jello. She must choose: return to her life in the city alone or remain with the cowboy of her dreams. Virginia Chapman dresses like a boy and looks a half a decade younger than her nineteen years. Her sharp tongue and bold confidence help her keep up with her six brothers. But life is hard in a small river town, and families do what they must to survive. Even if it’s illegal…like distilling moonshine and selling it. British ex-patriot, veteran, and businessman, Nathaniel Blackthorne, dislikes complications. Especially the river rat daughter of his supplier who stows away on his steamboat when her family is attacked by one of his rivals. To ensure her safety, Nathaniel must transform Virginia into a lady and keep her close, without losing his heart or risking both of their lives. Lady Adele Prescott is dead. At least that’s what the whole of London society believes. After recovering from her injuries in secret, she knows she should remain in hiding. But nothing will keep her from taking a position as a maid in the home of the lord she believes murdered her family. Christopher Underwood, former military man and amateur inventor, wants no part of society or his newly acquired title. He spends his time in seclusion hiding from the ghosts of his past. When he discovers his new maid bears a striking resemblance to the dead daughter of his former partner, a dangerous plan takes root in his mind. Secrets and lies may bind them, but only the truth will set them free.